We're now a year on from the launch of Sky Sports F1 HD and we can now look back at what their coverage has brought to the sport. Mr C has given his view on life without a dish, so let me provide the other view. I will say now that I haven't watched every minute of coverage, and sometimes watched BBC coverage where needed, but I have seen Sky's effort grow and evolve through the year. Living in the future means we get to download books and magazines without leaving the house, purchase an individual music track or an entire artists back catalogue unrestricted from the constraints imposed by physical media, and watch a seemingly endless choice of movies or television shows from the comfort of our armchair. I have no idea under what circumstances Hans Seeberg was replaced as editor of F1 Racing magazine back in May, but there's no question he is a man with unfinished business in Formula 1. 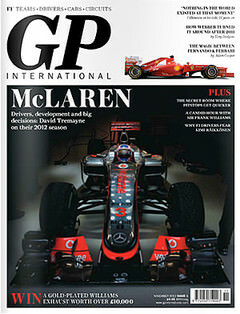 After the briefest of spells on the sidelines, Seeberg returns to the world of motorsport publishing this week as editor-in-chief of the brand new GP International - a magazine that is to all intents and purposes a carbon copy of the product he previously oversaw for publishers Haymarket. 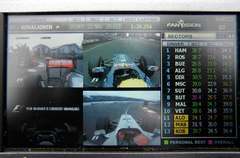 For 2012, the BBC lost half their live race coverage to Sky, settling for sending their presenters to all the races but delivering highlights where the broadcast rights dictated. For 2013, their coverage is being dealt another blow with the loss of popular presenter Jake Humphrey. Fresh from his success with the Olympics, Humphrey is heading to BT to front their Premier League coverage. Today was a good day. Today I downloaded my first Formula One race. Admittedly the content will expire within seven days of being played, but for a sport that is as notoriously backwards as F1 when it comes to the subject of digital downloads, this is big news. Now that James Allen is covering Formula 1 on the radio, he accompanies his website with a monthly podcast – so he can bring us stories and opinion from around the sport. In a lot of people’s opinion, JA seems to be F1's version of he-who-must-not-be-named, and during one of Sidepodcast's recent live events, Mr C stated that he hasn't listened to The JA Podcast, to which I immediately thought that he’d be potentially missing out. As the television coverage of Free Practice 3 and Qualifying from Bahrain played out on fan's TV screens, it became obvious that one particular team was missing from the pictures. Whilst all eleven of the other contenders were given some air time on Saturday, Force India were noticeably absent from the broadcast. BBC F1 presenter Jake Humphrey hosted a very special Never Mind The Buzzcocks in aid of Sport Relief this evening. If you live outside of the UK, or simply missed the airing, here's a replay of the whole episode for your enjoyment - complete with plenty of Formula 1 references, including a quite unexpected ending. How much is it right to pay for up to the minute timing data? Today, F1 2012 Timing App developer Soft Pauer celebrated their appearance on the official F1.com website, where they are described as "The only official mobile Live Timing and Track Positioning app." The move marks the end of the previously free, but functionally limited, live timing app. 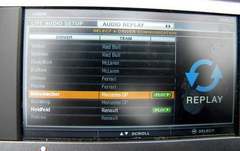 When I started following Formula 1 half way through the 2009 season the race edits were all I really got to see of the races. Starting Wednesday’s after a race I would incessantly keep checking the website to see if the newest video was available. Even now, though I try to seek out the actual races a bit more, even if it is a day or two later, the race edits still make up what I see of most of the races. A month ago, when I wrote my first Sidepodcast comment on the Rate the Race article for the Brazilian GP, it only took a few synapses to fire in order to get to 'Rate the F1 race edits'. I cannot explain fully why this has happened, but by 6:15 this afternoon, I had compiled what appears to be an almost comprehensive list of the BBC's Classic F1 videos in their website, complete with links to the appropriate pages. Both the BBC and Sky have made the most of this final outing of F1 to finally announce some of their intentions for next season. With the spotlight on the sport ready to go out after this weekend for the winter months, they used the time to confirm who is showing what and where. The internet is for awesomeness. It’s the only place where we can meet and share ideas in a fast, global way. It’s also a great place to store information – there are millions of servers out there with data that simply dispense it to whomever wants it at that time. I will admit that there’s a lot of junk, but there’s also a whole heap of great community resources – directories of local food producers, websites to jettison/acquire free stuff, and specialist news sites. It won't have escaped your notice that earlier today the BBC confirmed a deal with Sky for a sort of time-share of the F1 coverage from next year onwards. We've been discussing it for most of the day, and still are not really any further forward than surprise, shock and mostly dissatisfaction. At the beginning of the month, Sidepodcast enjoyed the men's and women's final of the 2011 Wimbledon tennis tournament. Famed for its lush green grass, the royal box, vast amount of strawberries and cream consumed, and some of the best ball boys and girls in the world, Wimbledon has become iconic for something else now as well. Did you enjoy the Senna movie? I bet you did, went down smooth didn't it? Not only was it emotional and touching, it showcased some of the most amazing footage from Formula 1's 'golden generation' in spectacular quality. It was so good it made me go home, slip into something more comfortable and reminisce with my old season reviews in stunning high definition. A few weeks ago, Mr C and I participated in an interview with Steve Lovell for his university project - a fifteen minute programme about why people decide to get involved with motorsport. We posted the original interview as an episode of Sidepodchat but now the finished product is here. The social networking site, Twitter, has done some great things for Formula 1. It has brought fans much closer to the sport than would otherwise have been possible, introduced us to new names behind the scenes and given insight into the personalities that keep F1 on the road. In part 2 of her look at the new FanVision handheld device, Amy digs deeper into the available data, tunes into some live radio and picks out her favourite features. Since the unveiling of FanVision's brand new handheld device, we've been keen to get our hands on one. Even more keen than us though, was F1 uber-fan Amy Fulton, who purchased the equipment and took it for an extreme road test encompassing the opening two Grand Prix of the season. Find out what she made of the latest in digital accessories.